Car crashes are not a laughing matter but there are some accidents that will make you say “What the hell?” Let us illustrate with our list below. Have you ever heard of someone who crashed their car to a pizza place and ordered pizza? Well, it happened back in January 2013 at Lincoln USA. An elderly man got his foot stuck on the accelerator of his car which resulted in him crashing inside a pizza place. The greatest part is that the man was safe and the car just perfectly passed through the door of the restaurant. 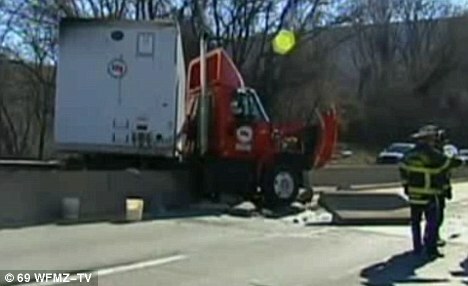 Why is this accident ironic? A woman named Amanda Jeffries stole a truck back in 2012 and after being chased by the cops, she ended up crashing into the administration offices of the downtown San Angelo Police Headquarters. What luck! 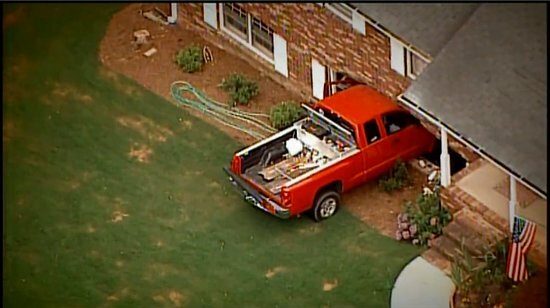 Back in June 2013, the Williams family was left in shock when their 2-year-old neighbor accidentally drove his parent’s red pick-up truck right into their house. Apparently, the neighbor was unloading the groceries and the son accidentally put the car on gear which made it roll down the street and straight into their house. Luckily, no one was hurt and the Willams were understanding about the situation. Similar to the pizza accident, this one’s about another man who drove through a building where he had an errand to arrange, resulting in something a bit ironic. In 2010, a man drove right into the Licensing Office in Spokance Valley, Washington. He was there to get his license renewed but while he was about to park, his foot slipped and he ended up stepping on the gas, which lead him driving through the building. Guess he didn’t get his license renewed. 1. Car crush that saved a life. If you see a rig truck accident on the road, you’d be hoping the driver didn’t get hurt or that no one was injured. 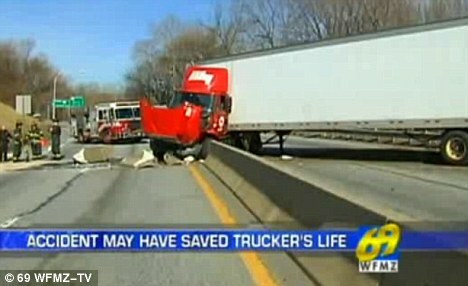 We bet though that you’ll never imagine that a dangerous accident like that could actually save someone’s life! A 55-year-old man named Richard M. Paylor was driving a truck back in 2011 when his truck smashed through a concrete barrier, but the accident actually saved him. Before the accident happened, he was choking due to a piece of apple and later on blacked out. But because of the impact from the accident, the apple that was blocking his airways was removed, thereby saving him. Lucky man!